Grip making is an arena I love. 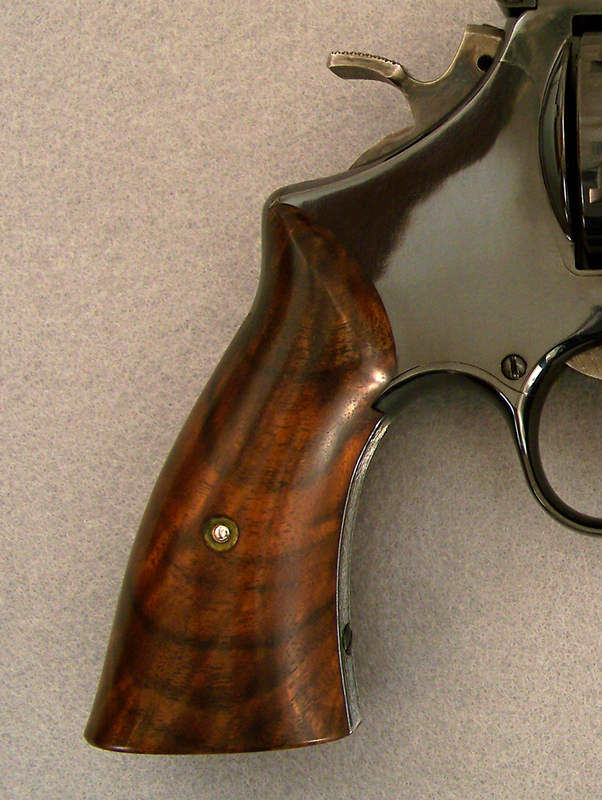 It is hard for me to understand why anyone would be satisfied with the poor fitting, poorly contoured blocks that come on handguns made today. 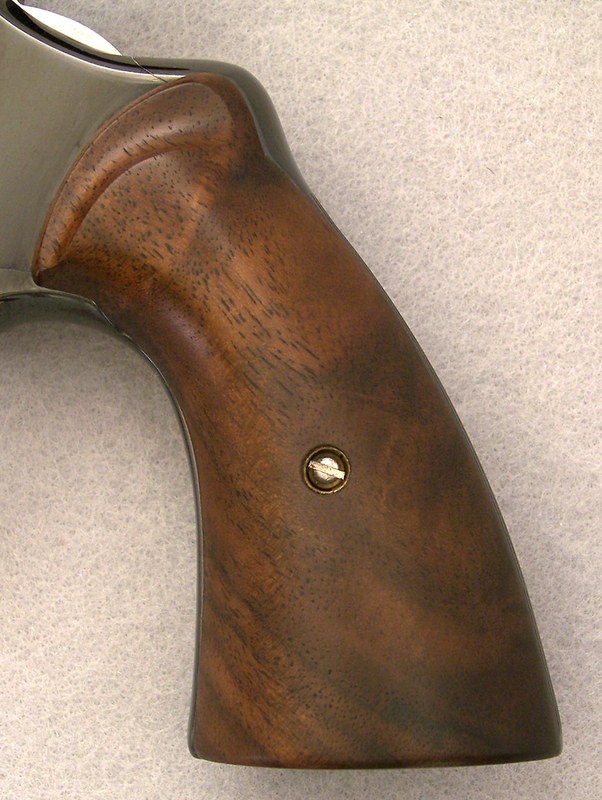 I remember the handguns of long ago had perfectly fitted wood. A lot of that was the use of pantographs. When I first saw custom wood crafted by hand and absolutely perfect fitting, I had to learn how. 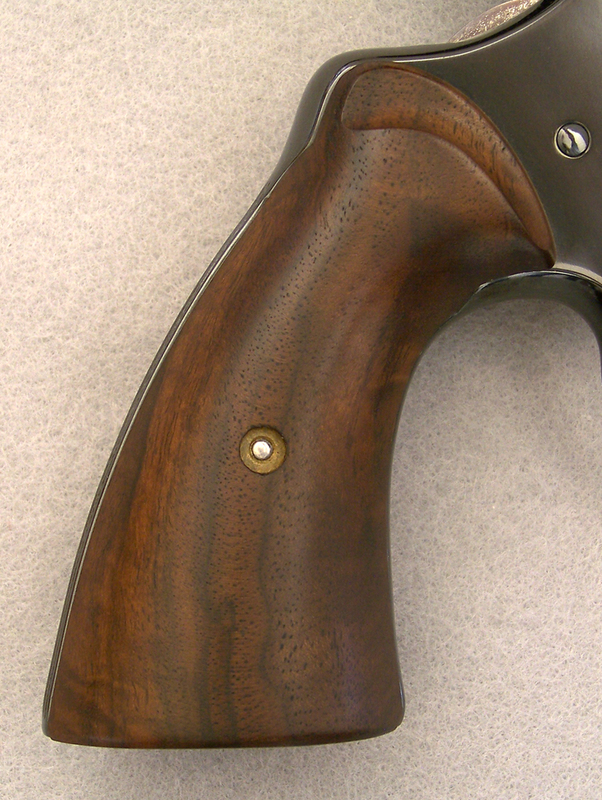 The proper fitting wood on factory handguns could have been sculpted better, but at least the fit was there. 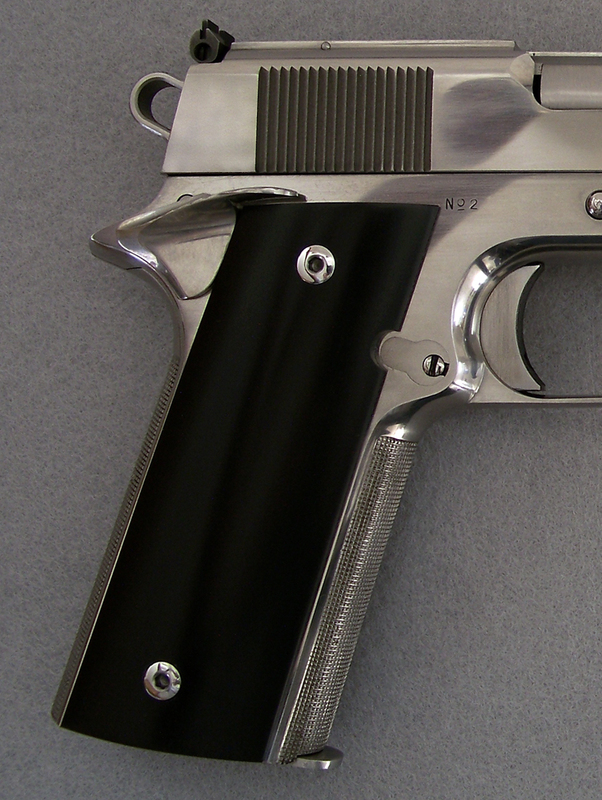 How to sculpt a grip panel is dictated by the particular handgun itself. Roy Fishpaw and a few others, but Roy Fishpaw in particular, get it 100% right. 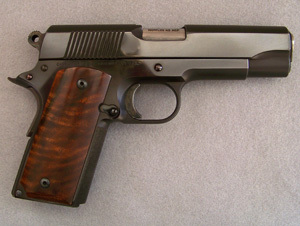 Getting it though, does not guarantee perfectly sculpted grips, nor does it make you a Roy Fishpaw. You have to be able to transfer what you see in the shape of the grip frame, mainly the backstrap, to the back and sides of the grip panels. 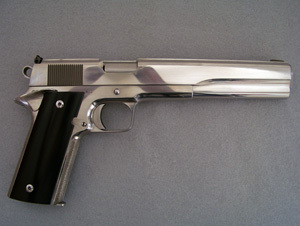 This is where handgun grips bought off the self fall way short. Roy Fishpaw said it best when he said “the wood should look like it grew right out of the metal”. Just look at a Roy Fishpaw grip, and you will see exactly what he meant. 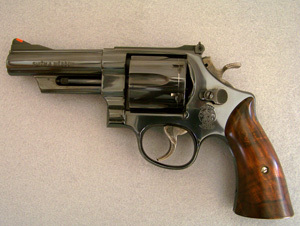 On Smith and Wesson revolvers there is an arch to the backstrap, then a shallow dip and then a kick out just above the bottom strap. 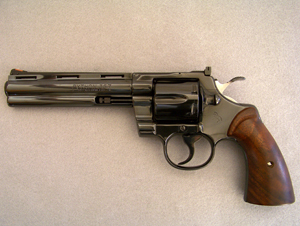 It is what gave Smith and Wesson revolvers of past their distinctive appearance. You can identify the gun a mile away. 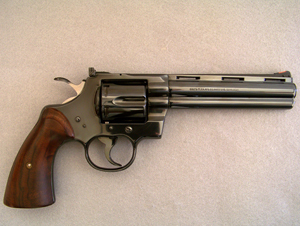 Likewise, Colt double action revolvers had that beautifully curved backstrap that dictates how their grips should be sculpted. I copied the convoluted scallop at the top from the Python / Diamondback factory grips, and have had a lot of demand from Python owners for this grip. 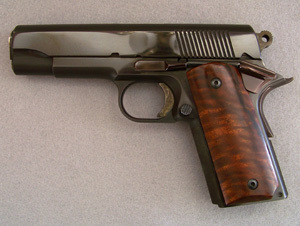 Colt and Ruger single action grips are also sculpted according to their backstraps. 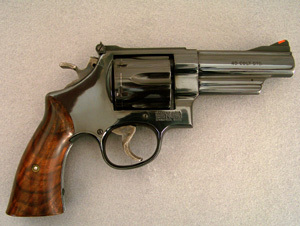 Similar to Smith and Wesson revolvers these single actions have the arch, dip and kick out feature that when sculpted properly looks beautiful. 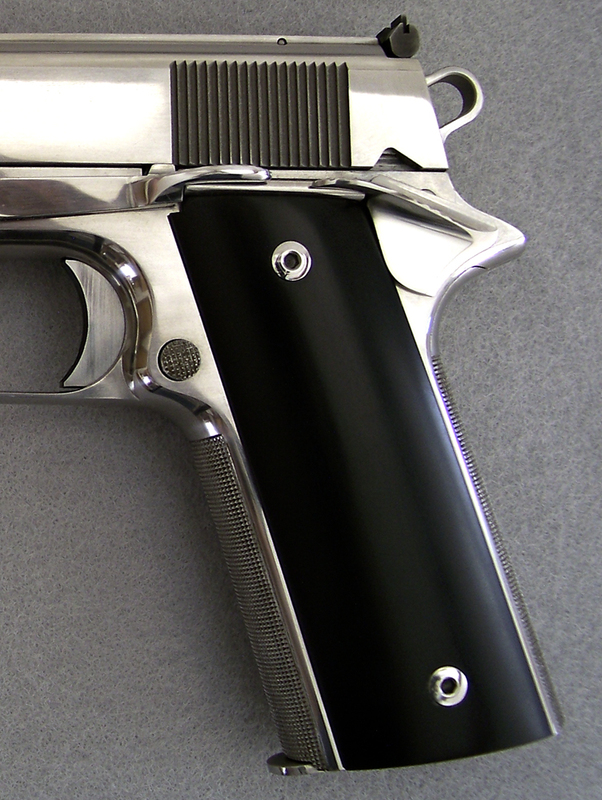 All in all, there is nothing like a perfectly fitted and sculpted set of handgun grips in so far as how the handgun feels in the hand. 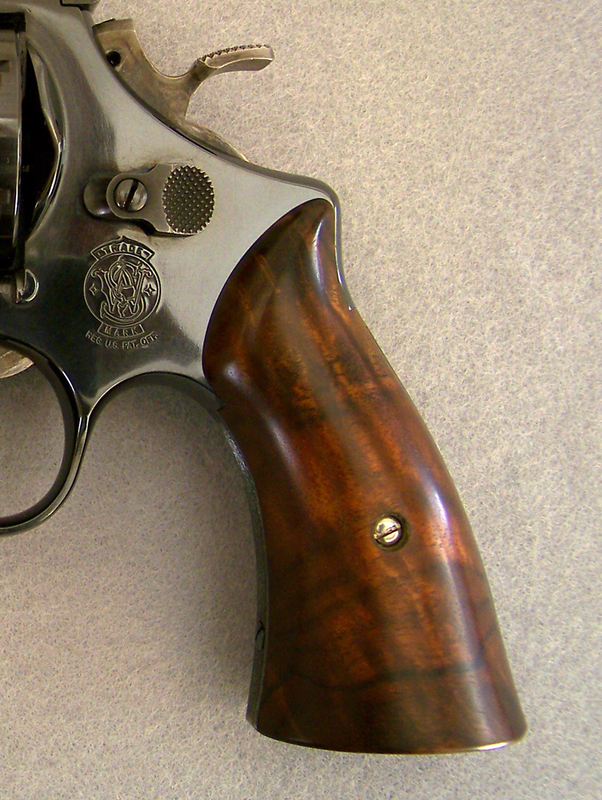 I have been re-gripping my own handguns since the 1970’s, as the manufactures have been falling short in this area since before then. 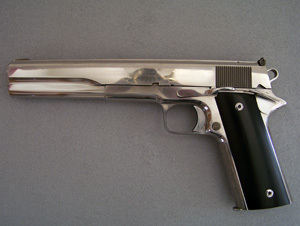 The exceptions to this are Freedom Arms, Italian Colt clones, Doug Turnbull, and maybe one or two others. 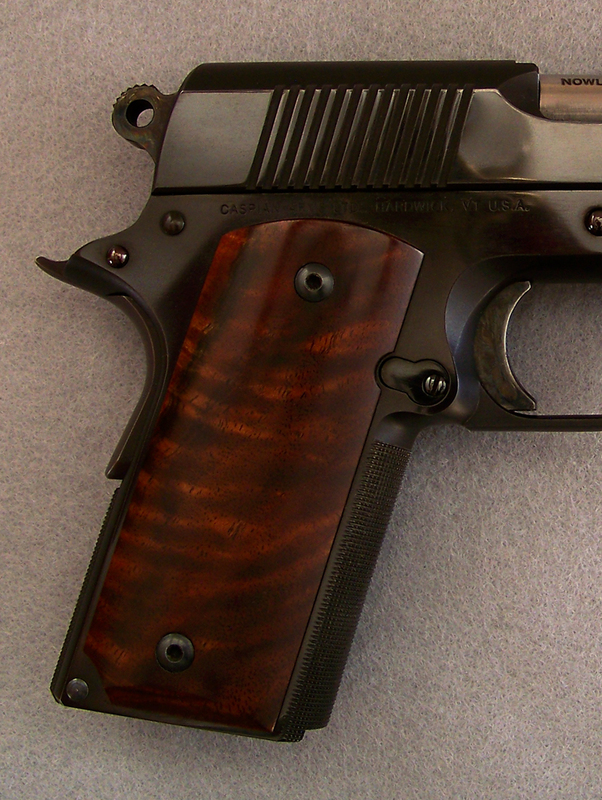 If you are not fortunate enough to own one of these, and you understand what a proper fitting set of grips brings to the joy of shooting or just owning a handgun, I would love to make you a pair. 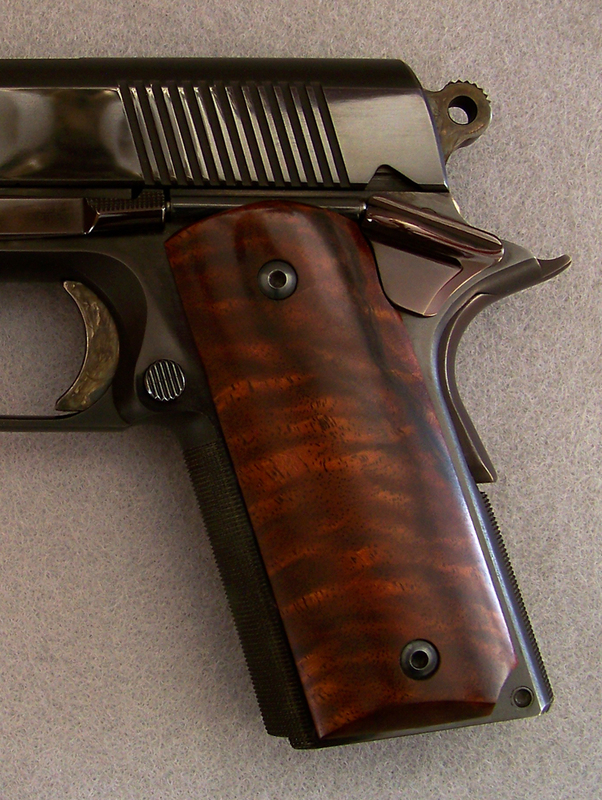 I will use whatever wood or material you want, but I almost always choose Circassian walnut for my own handguns. Every piece is uniquely gorgeous in grain and color.